COSMED provides products for either professional or medical use (spirometry, pulmonary function, indirect calorimetry, exercise testing, body composition, etc.). Explore products and features suitable for customers and applications in a variety of settings, such as: Hospitals, clinics, primary care, university and education in human physiology, clinical nutrition, commercial weight management, human performance centres, sport institutions and health club industry. 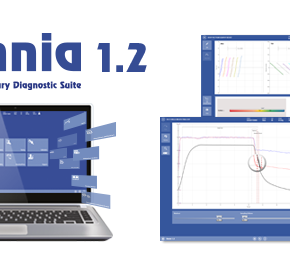 COSMED is glad to present the new 1.2 version of OMNIA, the powerful diagnostic software platform from COSMED.